Shifting generations frighten, who are we to try and fight 'em? 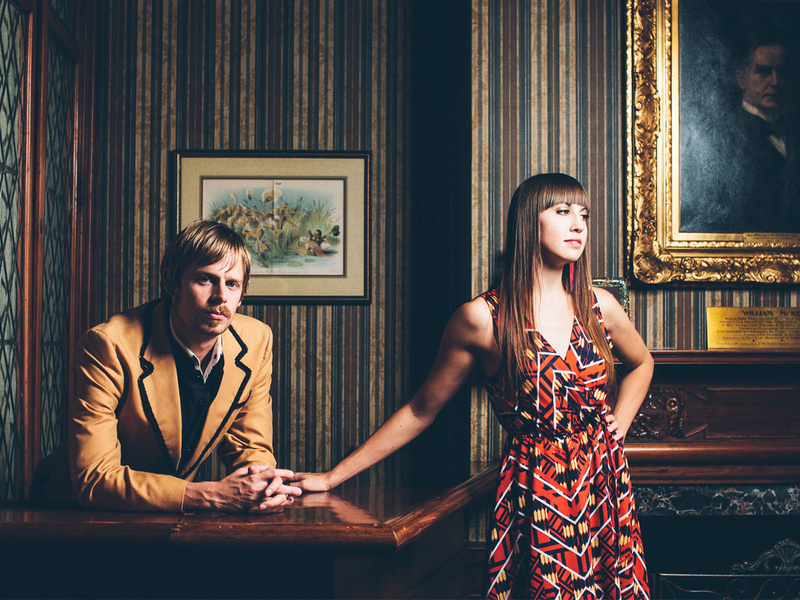 Shivering Timbers' story developed when married couple Sarah and Jayson Benn started singing and crafting songs for their infant daughter; as she grew the music began to take shape, and a band was born. They were discovered by The Black Keys' Dan Auerbach when they were invited to play at his birthday party. Their first album was subsequently recorded at Auerbach's Akron studio, a collection of home-spun dark folk songs and fractured fairy tales called 'We All Started in the Same Place'. One year later, after developing a regional following, Shivering Timbers met and hit it off with Brian Olive (Greenhornes, Dr. John). Soon the band had raised funds through the help of fans, and was at his Cincinnati studio recording their second album, "Sing Sing' -- a much more accomplished, complex, and mature effort. With the release of the second album, the couple has embarked on touring the US with a drummer and their 5-year-old daughter in tow. The youngest addition to the tour creates an all-new dynamic that is endearing and reminds listeners of the universality of music and family. Sarah is a captivating singer -- part P.J. Harvey, part Patsy Cline -- a long, lean presence, her voice delivers each emotion in its full glory. The nuanced howl of Jayson's guitar work is the perfect mate to her sultry vocals, yet stands majestically on its own. Live performances are heightened by the percussive mastery of Daniel Kshywonis on drums, and on occasion 5-year-old Suzi Benn on toy piano/tambourine. What's more difficult to describe is the mood they create, which can, at times, entrance and haunt the audience, while in the next breath, invite them into a whimsical, foot-stomping play land. The couple has a quality not unlike that of Johnny and June at their height -- an obvious chemistry that pulls in the entire audience. Shivering Timbers has toured with, or been direct support for: Shovels & Rope, Kenny Loggins, Jessica Lea Mayfield, Tav Falco, The Chapin Sisters, and many more great bands.